Let’s talk about what you want from your wedding photographer! Whoop Whoop! We are getting closer to chatting! I love Skyping couples and talking about what they are planning and helping them plan their day. 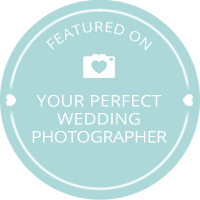 A professional photographer is a great source of information for a couple that is getting married. We have seen HUNDREDS. Let me share what I know. Send me a message and then lets chat. If you are after a wedding photographer covering Cornwall, Devon or Somerset I would love to hear from you. We could meet up at your venue and plan the day. No commitment. It’s important to get to know your photographer I want to help you do that. Learn more about me by looking at my reviews or on my Facebook site. Shhh, don’t tell anyone… But I am offering a FREE try before you buy session. You get to see how I work and what lovely images I can capture of you in my unique way. Ask me about this in your message. You can even give me a bell on 07584906088 lets chat. Use this form to contact me. Please remember to check your email details are correct.